Setting the mind ablaze with inspired dream imagery, thought-provoking notions about reality, action sequences that leave the jaw dangling in wonder, and an emotional undercurrent to tie everything together, Christopher Nolan’s Inception is a masterpiece. It’s an epic of ideas and structure that doesn’t resist engaging the intellect as it amazes with spectacle. And yet, this high-concept adventure into the unconscious assigns every development in the plot a dramatic significance. Through his marriage of style and content, Nolan finally establishes himself as an auteur by drawing on obsessions that exist throughout his earlier works. Disjointed story construction. Altered perceptions of reality. Characters with a desperate need to control, so much so that they invent their own rules. He unites these themes in a breathless harmony of style, composition, and narrative, unmatched by anything else in his short but remarkable career. Though Nolan, who took ten years to write his screenplay, kept his production hush-hush, and the film’s advertisements reveal little about the plot, the diminutive amount of pre-release information available has left audiences bewildered but intrigued. However, it’s doubtful any plot description could do the film justice. In the broadest of terms, the film is a heist-like science-fiction tale set in the open playground of dreams, where the rules of reality are controlled by a dreamer. This means gravity can be manipulated and cities can fold over on themselves, given the right circumstances. But Nolan avoids falling into surrealist Dali territory, in that the dreamscapes serve as a carefully controlled environment with which to access the subconscious mind. Nolan avoids all imagery typically related to Freudian interpretations of sexual metaphors or repressed desires. The dream world comes with its own set of rules, which the audience learns in the film’s first half in as much detail as possible. This gives way to a brilliant second half, where those rules are explored to their fullest possibility. Leonardo DiCaprio plays Cobb, a thief who steals ideas from dreams. Cobb engages in a rare form of robbery when he enters the minds of his targets to extract ideas from their subconscious, all without the targets ever knowing. The success of every job depends on how well Cobb can control the dream and manipulate his mark into believing the dream is real. If the target becomes aware of the deception, that they are in truth inside a dream, the dream world falls apart and Cobb wakes up with nothing. Though incomparably talented in his trade, Cobb’s control over his dream worlds is deteriorating; his wife Mal (Marion Cotillard) surfaces in jarring appearances in his subconscious, threatening to botch his elaborate dream heists. 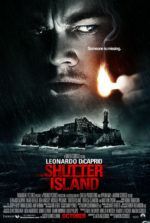 DiCaprio, who continues his recent unbroken streak of incredible performances, embodies a composed, professional figure defenseless against whatever’s lingering in his head, not unlike his turn in Martin Scorsese’s Shutter Island from earlier this year. Cobb’s fading control becomes the sole reason he accepts a risky new job, one that will pay off by allowing him to return home to his family, from whom he’s been separated for some time. An industrial magnate named Saito (Ken Watanabe) proposes that Cobb complete a mission involving ‘inception’ rather than ‘extraction’, the difference being that ‘inception’ demands Cobb implant an idea into the mark’s subconscious, as opposed to stealing it. But in order to successfully complete such a mission, the idea has to be implanted deep into the recesses of the subconscious, where the idea will grow naturally and the mark will never know the idea wasn’t their own. Going that deep also proves perilous, as Cobb risks losing his awareness of being in dream state; if he forgets he’s dreaming, he may lose himself to his subconscious forever. To accomplish the seemingly impossible task of inception, Cobb assembles a team of skilled dream manipulators, all played by actors of the highest caliber. Together they prepare, walking the audience through the maze-like plan that finds intricate ways to implant the idea into the subconscious of their assigned mark, a young industrialist played by Cillian Murphy. Joseph Gordon-Levitt plays Arthur, Cobb’s partner and expert in the dream world’s rules. Tom Hardy is Eames, a master of disguise and forgery. Dileep Rao’s character Yusuf is a chemist who specializes in the drugs that keep Cobb’s team sedated for the dream. And Ellen Page plays Ariadne, an “architect” who designs the labyrinthine dream world for the others with staggering detail. The film’s third act, where Cobb’s crew follows through with their plan, will have moviegoers floored with its unbelievable sights and clever execution. A virtuoso display of action and ideas, the extended sequence involves layers of subterfuge that take place in a dream-within-a-dream-within-a-dream. Nolan coordinates several overlapping schemes, each linked in a uniquely organic way through masterful coordination—both in terms of story and editing. Three varied action scenes take place all at once: one recalls the bank robbery shootout from Michael Mann’s Heat; another offers a zero-gravity fight that outdoes anything conceived by The Matrix trilogy; yet another feels like an actionized espionage incursion from a James Bond movie. But despite their likenesses to other material, Nolan lends his personal touch to each scene, allowing his story’s environment and the way they’re coordinated to leave us wowed by their originality. And, as the three sequences unfold, the audience is always aware of the overlaying stakes, and how everything going down onscreen relates to Cobb’s emotional conflict. The altitudes may go even deeper than we realize in this sequence, but that’s for the viewer to discover. Indeed, the finale plays out much in the order of David Cronenberg’s eXistenZ, as the characters (and the audience) question the veracity of this or that reality. Which one is real? And when the characters “wake up” are they really awake? How can they truly be sure? Since Memento, Nolan has always been interested in the mind’s ability to create realities for and deceive itself. It’s a theme that follows through Insomnia and The Prestige, and remains a crucial character trait for Bruce Wayne in the director’s Batman films. Along with his complex narrative, which is divided between reality and several dream realities splitting off from one another, it becomes evident that many of the themes from Nolan’s early work converge here into an impressive whole. Shot in six countries across the globe, Warner Bros. spared no expense to appease the director of their top-earner The Dark Knight; perhaps supplying Nolan with no end of large budgetary requirements to realize his very personal vision is their way of saying ‘thank you’. The location photography by Wally Pfister, Nolan’s exclusive cinematographer since Memento, captures each backdrop and immerses you in the environment. And yet strangely, the complex studio soundstage shots, namely those involving weightlessness, are just as immersive. 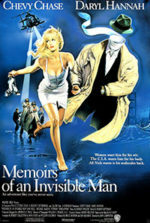 The film has a way of using every method at its disposal, from settings realized through special effects to natural locations, to give the audience the impression that we’re ‘really there,’ because believing that becomes a crucial part of the story as the characters fall dangerously deeper into their dream state. As much as we’re immersed in this experience visually and emotionally, composer Hans Zimmer’s score plays a vital role in bringing these characters and the various realities together. His persistent music keeps an ever-present tempo, akin to The Dark Knight’s score, and penetrates the viewer with deep horns that seem to blast straight through, reverberating with the audience straight to the bone. Zimmer’s haunting music transcends the layers of the plot and offers an aural connective tissue for the production. But then, pinpointing all the decisive elements, such as the music, that make the film great proves impossible. So perhaps it’s best to leave a comprehensive analysis for another time and simply say this is a perfect film, Nolan’s highest masterpiece in a career teeming with little else except other masterpieces and, at the very least, other great films. 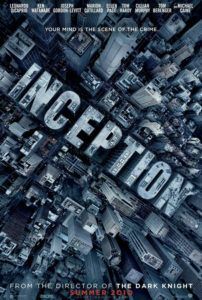 With Inception, he establishes himself as one of the best directors of our time. How rare that a blockbuster of this size results in a thinking person’s experience, filled with emotions and imagination, while also appealing to the more elementary need for thrills. This is the type of big-budget summer entertainment that could have easily reduced itself to a mere action movie, but Nolan makes Inception so much more by involving us in the fates of his fascinating characters and forcing his audience’s participation on intellectual and awe-inspiring levels. 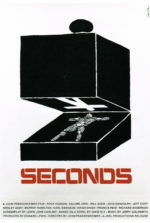 When its breezy two-and-a-half hour runtime has elapsed, the audience is left to marvel over Nolan’s production, completely ready to watch the film again as soon as possible and revel in its expert orchestration of ideas and action. To be sure, this film must be revisited, talked about, analyzed, and rewatched again and again. It will surely grow upon each viewing, but it proves instantly enthralling the first time. It’s one of the best films in recent years, and in an underwhelming year at the cinema, it’s something truly extraordinary.